Going to a new country with no idea what to expect is the most thrilling feeling, especially one so diverse and rich in culture. Leaving all expectations behind opens you up for truly the most rewarding experiences. My best friend recently won a trip to Morocco; yes, you read that right. If not, I’ll say it again. She WON an all expenses paid trip to a far flung country in the North West of Africa. She decided to take me as her travel companion and to say the word ‘blessed’ is an understatement. 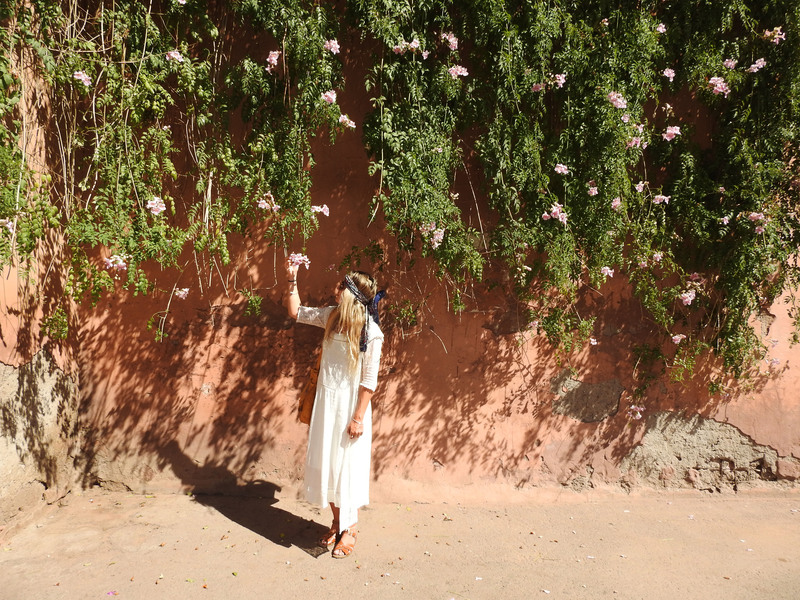 After a long three leg journey full of far too much chocolate and bubbles we arrived in Morocco’s most intoxicating city rich in tradition, history and the most beautiful architecture I have ever laid eyes on. 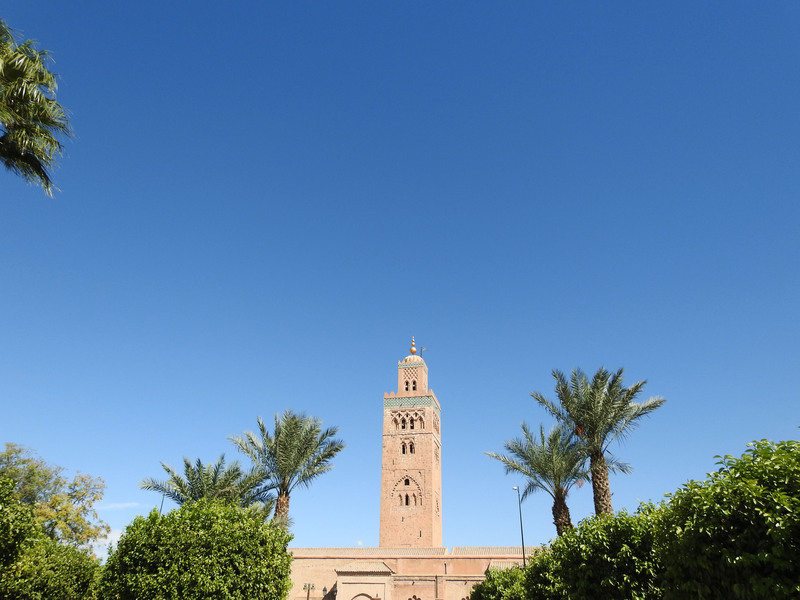 Marrakesh means “The Land of God” and is a happy clash of modern and old-fashioned, full of Arabian, African and European influences that combine to make it a beguiling but dazzling place. It was an excellent destination to dress like a bohemian princess by honouring tradition and modestly covering shoulders and legs. Never in my wildest dreams would I have thought I’d ever stay somewhere as luxurious as the Four Seasons. It was a resort-styled oasis with five outstanding restaurants, bars and trendy lounges, two pools both at different temperatures, a gym with a separate cardio and weights room, tennis courts, a traditional hammam spa and Maserati’s and Range Rovers available to drive you wherever you needed to be. Our room was so divine and full of elegant touches that made us feel so spoilt! 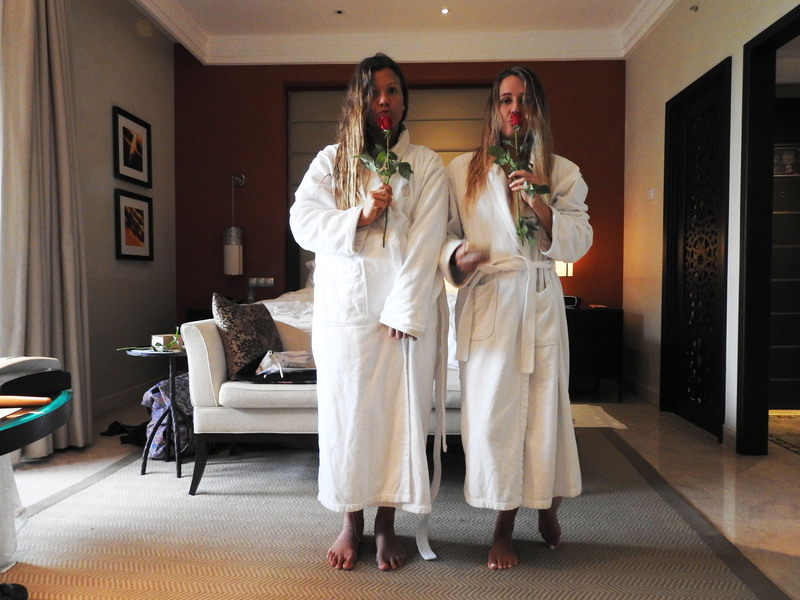 A huge balcony with mosaic furnishing, Moroccan cushions, the comfiest bed, robes and slippers, a spa bath and a vase full of fresh red roses made it pretty hard to want to leave the hotel. I’ve never seen such an abundant breakfast, there was bowls of fresh fruit, French pastries, bacon and eggs, meats and cheeses, juices and smoothies and copious amounts of tea to be indulged in. The staff were so welcoming; every door was opened for you and nothing was a problem. I don’t think they liked using the word ‘no’ but we soon got the hang of saying Shukran Lakum (Thank you in Arabic). 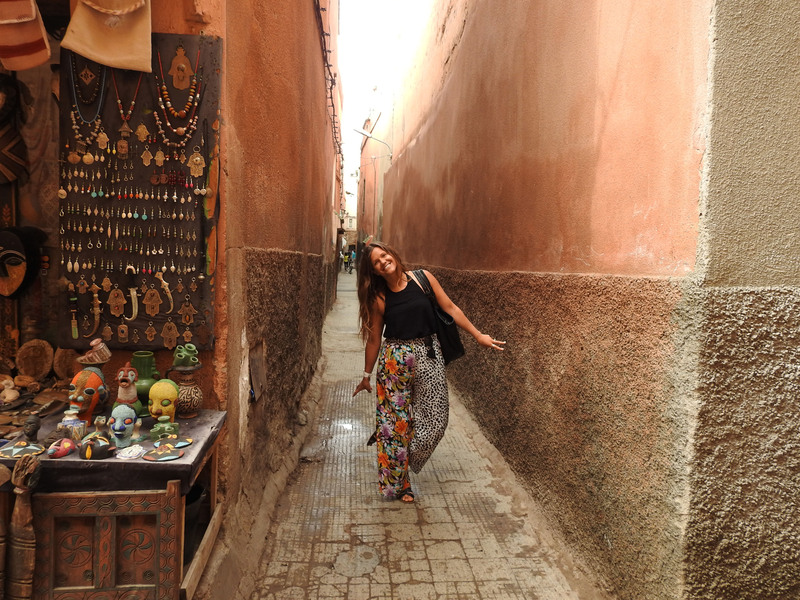 On our first day we ventured into the city square or the Medina (Jemaa el-Fna) which is a walled medieval city dating back to the Berber empire that consists of mazelike alleyways called Souks. By day we were greeted with snakecharmers, food vendors and tiny cobbled streets full of mopeds, donkey carts and wheelbarrows full of trinkets you never knew you needed. Don’t bother trying to remember which way you walked through the souks, it is a whole other world full of true artisans selling their homemade wares and trying to convince you theirs is better than the guy next door. 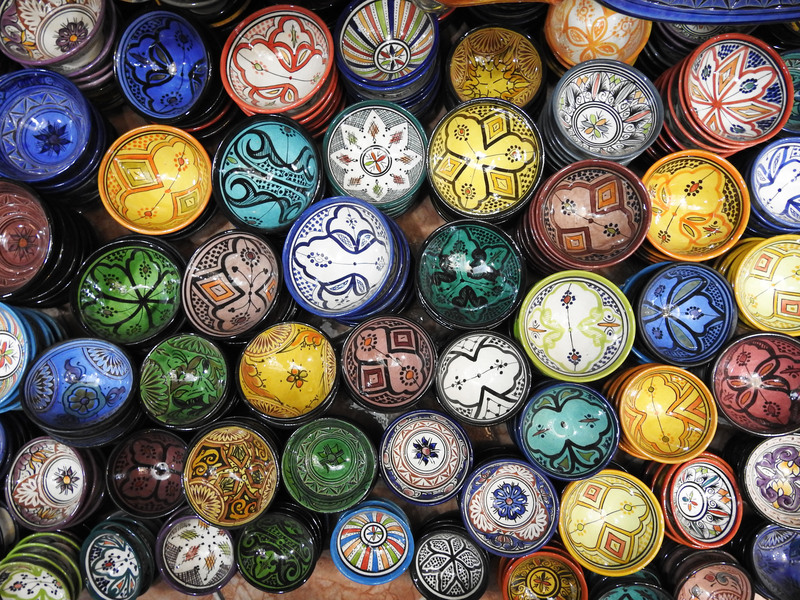 There is a plethora of patterned rugs, authentic leather berber bags, decadent tea-sets, silver jewellery, and mandala inspired ceramics. By night it’s a totally different scene; food vendors, a whole lot more hustle and bustle and a little bit more intimidating. 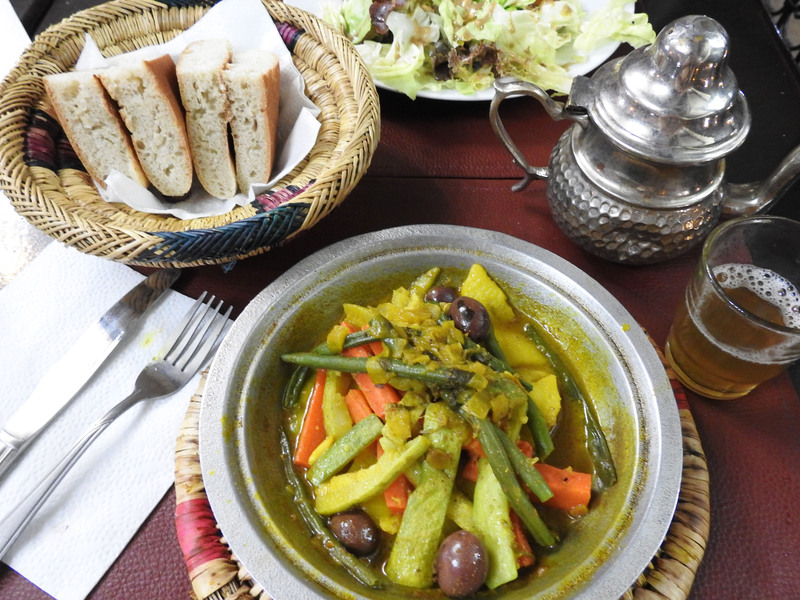 We opted to dine at a rooftop terrace and tasted the local tagine and mint tea overlooking the happenings of the Medina. 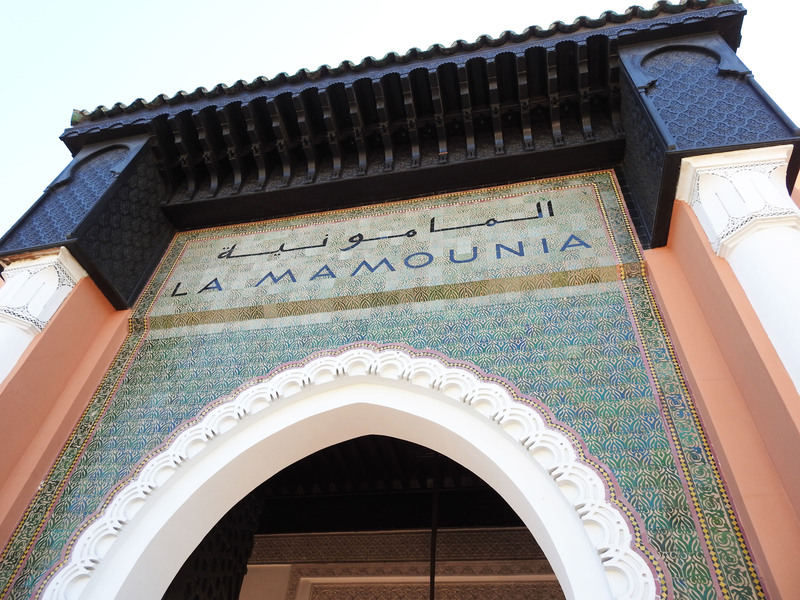 The next day we visited La Mamounia; a mosaic and marble dream fit for royalty. I had seen many photos of this hotel on numerous blogs and just had to check it out for myself. 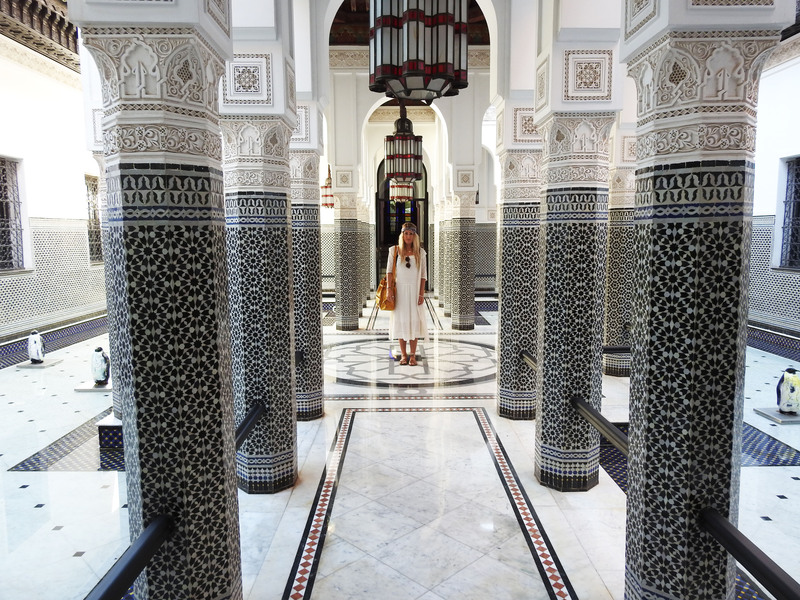 The 5 star grand hotel is set amid idyllic gardens (that are almost three hundred years old) and has a unique blend of art deco and traditional Moroccan elements of architecture; tiled columns, arches and painted wooden doors. 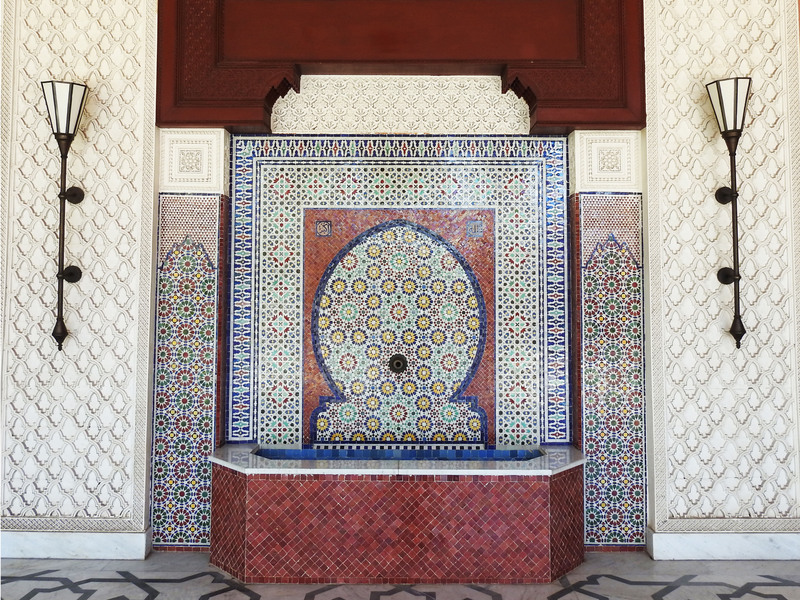 Such is it’s enchantment and true Moroccan ambience, Winston Churchill thought it was “the most lovely spot in the whole world” and inspired him to take up his paintbrush. Walking into the hotel I could only imagine the kinds of parties and dinners that were held under that very roof; men dressed in top hats and tails and women adorned with exquisite jewels in long evening gowns. You can feel the history in the walls and furniture. A fine place to visit and amazing backdrop for photos; I was certainly in my element. Three blissful days spent immersing ourselves in the first taste of Morocco was an absolute delight to the senses; the smell of rich spices and perfumes, the foreign tastes of tagine and mint tea, the sights that reminded me of the Aladdin movie, the sounds of calls to prayer three times a day and the overall feeling of excitement and openness that travel brings.